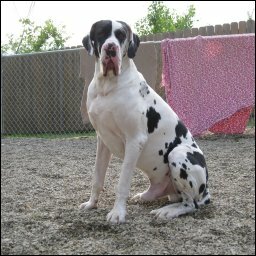 Uhio von Schlesien is his registered name, he was already named when we got him. 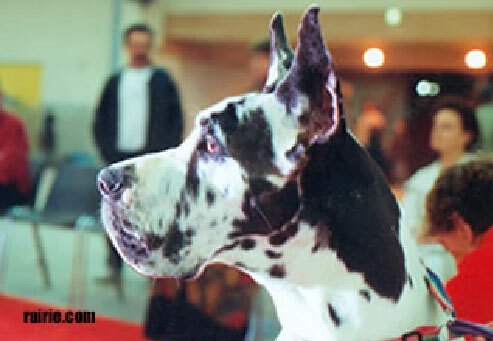 We would like to introduce him as Benvenuto meaning "Welcome". 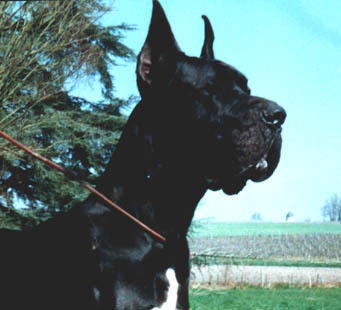 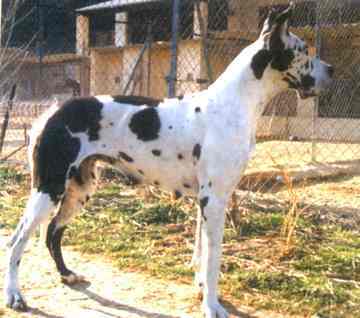 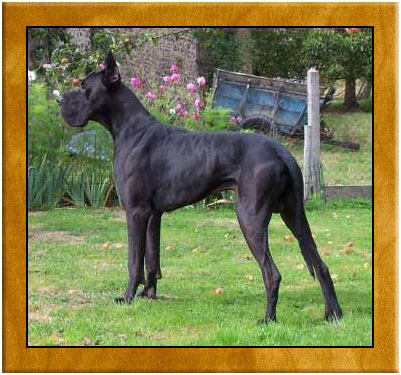 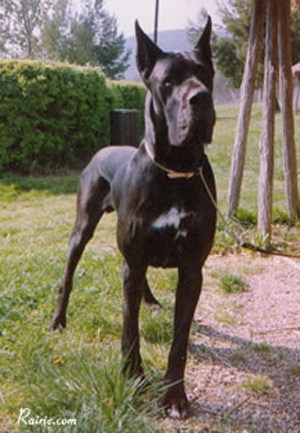 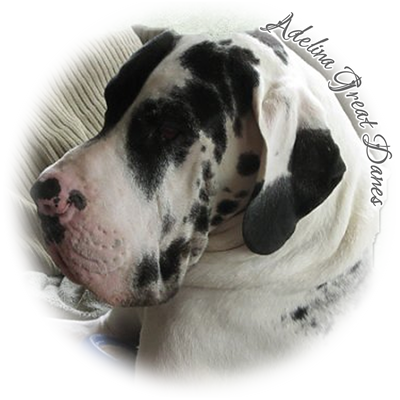 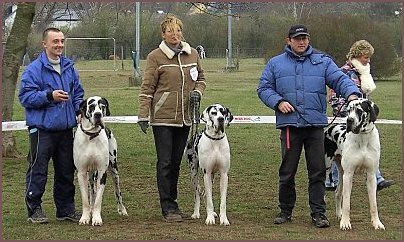 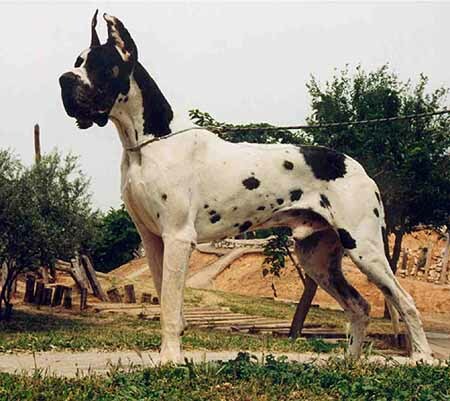 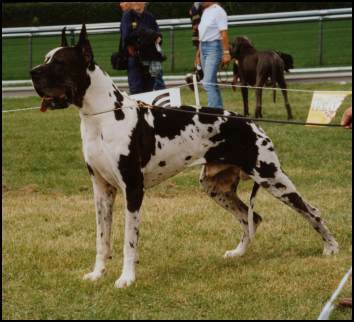 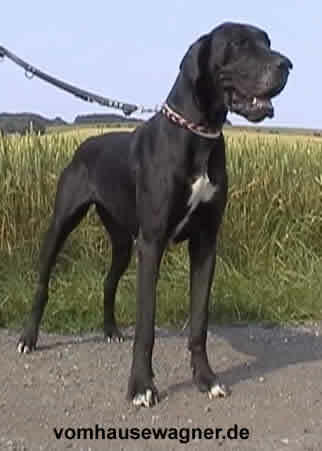 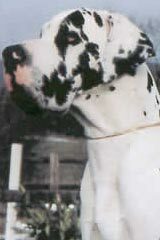 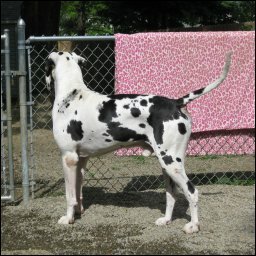 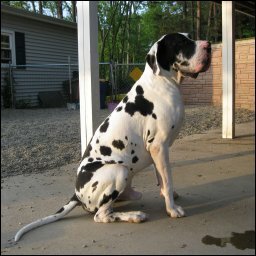 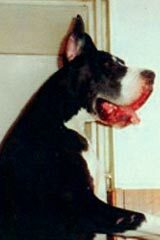 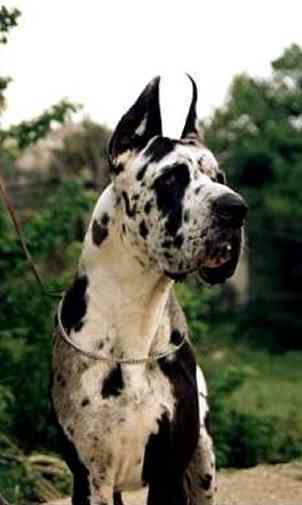 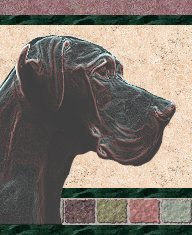 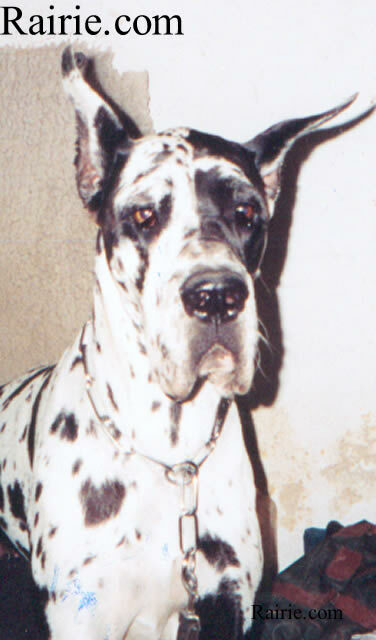 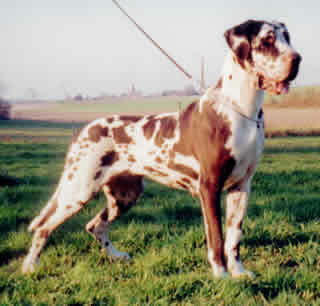 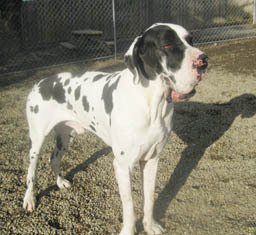 He came from Messel Germany from the kennel of Barbara Mosch-Schloesser, who has one of the best European kennels for Harlequin Great Danes and also their character is judged by a breeding judge. 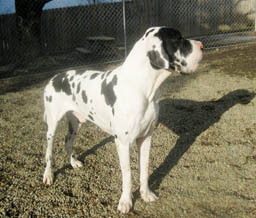 Benvenuto is an absolute angel. 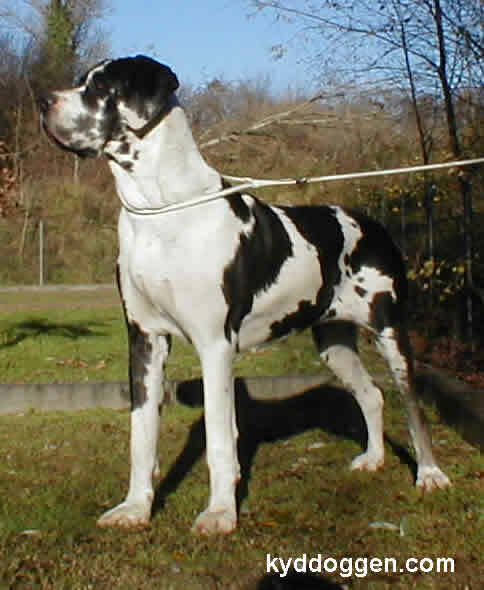 His temperament is wonderful. 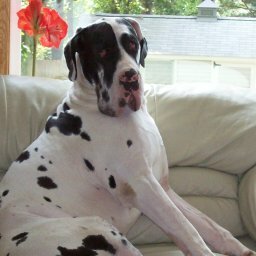 he is very sweet and he thinks he is human.